Why A24 is the future of film, and a super-brand in the making. Almost every movie that has meant something to me over the past five-plus years has been made by A24, an independent film company started in 2012 in New York. When I see their logo (an awesome one, by the way), I anticipate I’ll be taken on a journey of emotional discovery, experiencing a life or points of view that provoke deep thought and consideration. Early on, while admiring their logo and loving their films, I didn’t know much about A24 and how they became such prolific enablers of great creative work. But in writing this book, I began researching the company, watching it more closely, and marveled repeatedly at the way A24 has proved exceptional at strategic sharing. Not only do does this studio foster superlative films, it demonstrates a profound understanding of how digital media, storytelling, collaboration, direct influence, and trust-building can propel a company from zero to sixty in the Age of Ideas. Like Supreme, David Chang, or Ian Schrager, A24 makes a product that intrigues me, that inspires excitement, aspiration, and irrational loyalty. What do I mean by irrational loyalty? (Call out Curtis) I mean the willingness to pay more for a branded product or service with minimal added practical benefit. I listen to the A24 podcast and I’m signed up to the A24 email list. I follow their social media feeds. This isn’t the way I usually engage with movie companies. A24 has developed a direct-to-consumer relationship with me and become my trusted film curator. When their latest release comes out, I don’t even need to check reviews because I believe in them and the work they’re doing. They’ve consistently delivered great films, and this has led me to trust them with my entertainment needs. And now I know their origin story. And that heart has made all the difference with filmmakers. While this approach is not new or novel, it’s rare. Entrepreneurs and business leaders who are open-minded and intelligent enough to enable creatives while providing them support and expertise to realize a truly differentiated vision are few and far between, but the ones who do it well are able to leave their mark on culture and exponentially improve their returns. 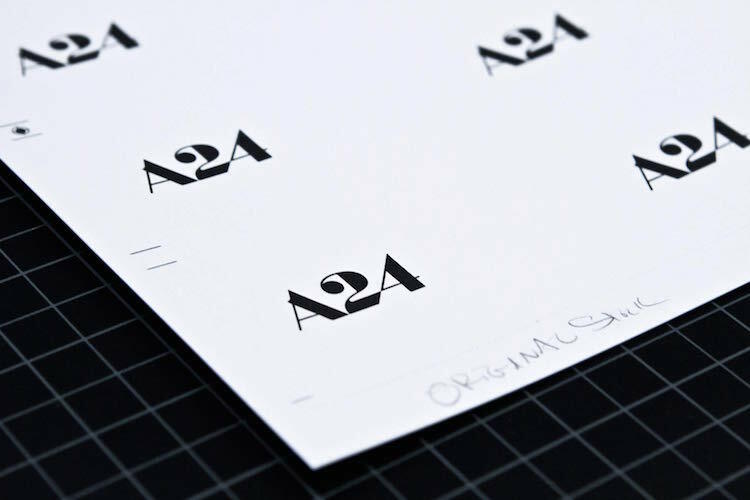 Viewed through the lens of the Age of Ideas, A24 represents a prime example of the Creator’s Formula in action. The studio enables gifted filmmakers—experienced creatives—to tell distinct, emotionally generous stories from a personal perspective. And it has developed marketing expertise and credibility after repeated, flawless execution. The way A24 supports its filmmakers’ creative expression while also doing everything right when it comes to the strategic sharing of its movies with the world has created a brand has few peers in the world of entertainment. Four years after its inception, the company’s first original production, Moonlight, won the Academy Award for Best Picture. As of 2018, A24 has received a total of twenty-four Academy Award nominations, including a Best Picture nomination for Lady Bird, plus a Golden Globe nomination (Best Motion Picture–Musical or Comedy) for The Disaster Artist. A24’s marketing is innovative, even brilliant. Out of necessity early on, they turned to lower-cost digital platforms and creative guerrilla marketing tactics to build buzz around their films. And while these tactics cost less, such platforms, as we’ve been exploring, are also notably effective in the modern market, especially with the under-forty demographic. Their film Ex Machina premiered at the 2015 SXSW Festival, and A24 used the dating app Tinder to market to unwitting festival visitors. When Tinder users clicked on an attractive woman named Ava, she would engage and eventually invite them to check out her Instagram. When potential daters visited her Insta page, it featured only a trailer for Ex Machina. This was not only an incredibly creative and engaging marketing tactic to target socially active festivalgoers, it reinforced the film’s premise of artificial intelligence and in itself was buzzworthy. The film ended up being received very positively at the festival and went on to become a hit at the box office, grossing $35 million on a $15-million production budget. Lady Bird has been A24’s greatest financial success to date, grossing over $75 million on a $10-million production budget, and the company has recently expanded into the growing television-content business. While A24 has had its share of financial misses as well, it has succeeded beyond compare at building a deep connection to filmgoers and consumers of entertainment programming. And it’s done this by establishing a direct relationship with its audience and telling meaningful, beautiful stories. Let me say a bit more about this relationship to audiences. Imagine if Steven Spielberg had a personal email list and multiple social media channels personally connecting him with all the filmgoers who have seen his movies during the last forty or so years. While Spielberg does have an immense brand, the main way he communicates with his audience is through mass media and expensive, metric-resistant platforms such as billboards and television commercials. By contrast, A24 has a direct relationship with a young, active audience and personal relationships with filmmakers who themselves enjoy close connections to their audiences. Both A24 and their collaborators can reach their audience directly at little or no cost to the parent company and the project they’re promoting. These one- or two-degree separations between brand and consumer give A24 reliable and growing influence in the entertainment industry. The studio not only has created an ideal platform for genuine creative storytellers, they have a machine in place to directly share with their customers and the expertise to collaboratively amplify their messages. But none of this would have been possible without them first building trust.